Why Victorian steampunk SF/F makes so much sense. For many people, the concept of fantasy literature in and of itself must be restrained to medieval settings, where swords and sorcery define the landscape. But much of what we perceive as fantasy has little to do with the so-called “real” Middle Ages, and everything to do with the Victorians, their ideals, and their cultural obsessions. In fact, the images the majority of people conjure up when someone says “fantasy” or “knights” or “King Arthur” come directly out of the influence of the Victorian and early Edwardian periods and their desire to rediscover, reinvent, and reincarnate the Middle Ages. This influence swept across the arts, from furniture making to novel writing. Tennyson’s Idylls of the King is perhaps the most familiar, along with the works of the Pre-Raphaelite brotherhood and William Morris (who is, arguably, the father of the modern fantasy novel). What’s important about the Victorian perception of the Middle Ages is that it directly affected the writing that came after (and in some cases, rebelled against) it. Because, as in all retellings, the Victorians could not leave the stories well enough alone–some, like Tennyson injected his ideals of courtly love and good conduct (Guenevere and Lancelot languish away as a nun and monk respectively) while Morris sought to illustrate the social ills of his day through Utopian visions of other worlds. Aside from the Victorian preoccupation with the Middle Ages, there also came something else: the Gothic. And by this I not mean the style of building, nor do I mean a dark-haired pasty girl writing poetry about dead flowers in a corner at a coffee shop. No, I mean gothic literature, a combination of horror, science, romance, and history, all blended together to create some of the most enduring characters of our time (Sherlock Holmes, Frankenstein, Dracula, and the Invisible Man just to name a few). In many ways the Gothic typifies the Victorian perception of medieval landscapes–seen in earlier examples like Coleridge’s “Cristabel” and Keats’ “Lamia” poems–and contrasts their own concerns about science, magic, and power against them. Brilliant stuff. And then there’s science and technology. 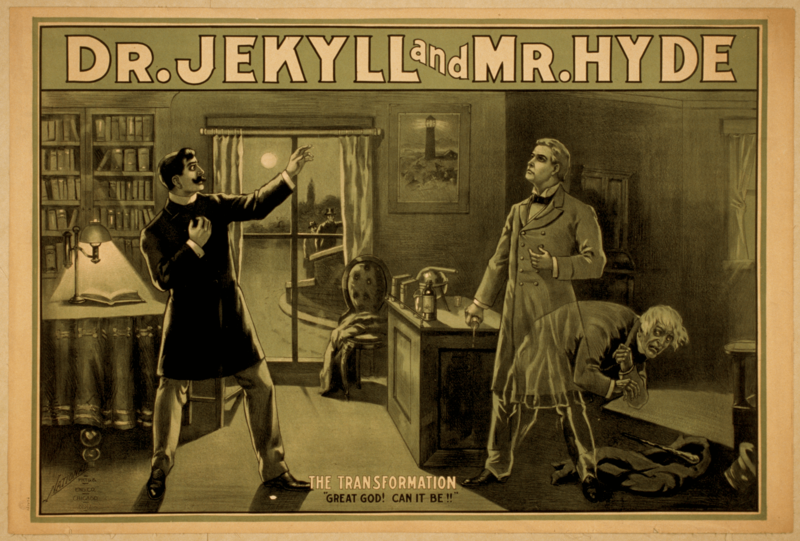 Victorian literature, and later much Edwardian literature, often brims to the edge with excitement and enthusiasm on the subject of growing technologies in the wake of the Industrial Revolution (Verne‘s Voyages Extraordinaire) or skeptical of the power of science (Robert Louis Stephenson’s “The Strange Case of Dr. Jekyll and Mr. Hyde”). That these stories still resonate with us today, still frighten us and inspire us over a century later, is quite remarkable. I see steampunk fantasy, and steampunk science-fiction, then as a natural next step in this progression. We are, in a sense, reinventing the reinvention. We look to the Victorian period and understand their simultaneous excitement and tenuous approach to technology; we know what it is to want to discover our roots and delve into the mysteries of myth. New advances in DNA and gene research have given place names to people who sometimes feel as if their cultural identities have been lost in the melting pot. Writers, makers, and cosplayers alike see the allure in the Lost Age of Steam because it in so many ways reflects our own. And as before, steampunk isn’t purely a movement across one or two disciplines. It’s pervasive. It’s become an aesthetic, a recognizable divergence from the norm (was is the goggles that gave it away?). And I think what I love about it most is that, like Victorian medievalism and early science-fiction, it balks in the face of definition. It is not strictly historical, nor is it easily explained. It is moving and changing, different things to different people. The gears, they keep on moving. Who knows what will come when the next century views ours? This is a wonderful article. Thank you. this is an amazing article and I would love to consider it in my research for my steampunk project for school, if that is alright with you. Hi there,im also doing a project about steampunk at my uni, the london college of fashion, would it possible if you could help my group and I as we’re having trouble researching. It would be a great help!